He is cacereño through and through - born in Cáceres, he started playing football in local club Cacereño's youth system, and made his debuts as a senior in the Segunda B towards the end of the 2002-03 campaign, aged 18. He became an undisputed starter during the following campaign, which ended in relegation, and stayed with the club in the Tercera for a further season. In 2005, he moved to Villarreal B in the Tercera, appearing regularly for the side, and helping the reserves to promotion in 2007. After clocking just 492 minutes in the first half of the 2007-08 campaign, he joined Cartagena in the Segunda B in January 2008. However, in July of the same year, he returned to Cacereño, with the side now in the fourth division, and won promotion in his first season. He would go on to play at his local club for two further seasons in the Segunda B, where he became an undisputed starter and captained the side too. In 2011, he joined Albacete in the Segunda B, playing for two seasons in the division before signing for Gimnàstic de Tarragona, in a two-year deal in 2013. 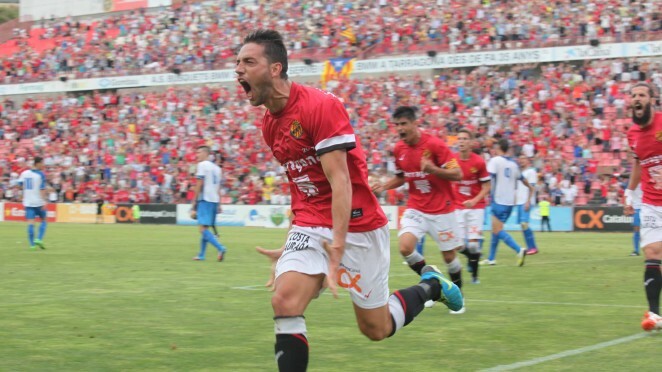 Two years later, in 2015, he won promotion to the Segunda with Nàstic, and renewed his link until 2018. And on the 23rd of August, 2015, the 30-year-old made his professional debut, starting in a 2-2 home draw against former club Albacete. Despite being a first team player, in January 2016 he moved abroad for the first time in his career, after agreeing to a three-year deal with Major League Soccer side Houston Dynamo. However, in July of the same year, he mutually terminated his contract with Dynamo after alleging "family reasons", and returned to the Segunda to sign for Real Oviedo in a two-year deal. He has been a regular starter ever since, and at the age of 32 is still going strong. Is still an undisputed starter. Is still working hard. And his name is David Rocha.